Fishing shall be from the 1st day of April until the last day of February the following year inclusive during the year of issue of the permit to fish and shall be from dawn until one hour after sunset each day. Fishing is restricted to 4 days in any one week of Monday to Sunday. Fishing shall be with rod, line and artificial fly only. No more than three hooks shall be used at any one time. Treble hooks shall not be used. A Junior Season Ticket Holder who is under the age of 16 years or a Day Ticket Holder who is under the age of 16 years shall fish only when accompanied by an adult member of the Club who is at least 21 years of age and who shall be responsible for the behaviour and safety of the Junior and for the Junior’s compliance with these Rules. All Trout caught on Piethorne must be retained and taken away. The motion to allow OPTIONAL catch and release of Brown Trout on Kitcliffe was carried at the 2016 AGM. This means members may now choose to fish kitcliffe as catch and release. An initial set of Recommendations / Guidelines has been issued and will be subject to ongoing review. Please go to the Members Area to view or download the document. The maximum number of trout that may be taken on any one day shall be three in the case of an Adult Season Ticket Holder, three in the case of an Adult Day Ticket Holder, three in the case of a Junior Day Ticket Holder and two in the case of a Junior Season Ticket Holder. The angler shall cease fishing when he has taken this number of fish. Only two of these trout may be taken from Kitcliffe in the fishing week. There shall be no wading. While fishing, each person shall have with him his current National Trout Rod Licence and his ticket and these documents shall be produced to any person upon reasonable demand. Season Ticket Holders shall wear the Club Badge issued with their ticket. Season Ticket Holders: Each time after fishing, on the form provided, either in the box provided or on Club Nights. Day Ticket Holders: Immediately after fishing in the box provided. 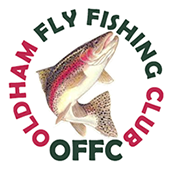 Guest Tickets shall not be available in the months of April and October through to February the following year except to non-fishing members who wish to participate in any competition arranged by the Club during those months. Day Tickets shall not be issued to persons to fish Kitcliffe Reservoir. When Fishing in Piethorne Reservoir, the angler when casting shall neither cause nor allow his flies to pass either through the vertical plane of the wall on the dam on the West side of the reservoir or through the vertical plane of the wall on the South side of the reservoir. When Fishing Kitcliffe Reservoir, the angler shall not fish from the areas marked and shown as “no fishing” on the plan of Kitcliffe Reservoir annexed to (forming part of the lease of the fishing rights granted by United Utilities to the Club). Access to Kitcliffe Reservoir shall be only as shown on the said plan. The Valve House on the dam wall.